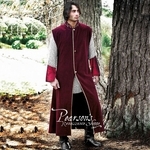 A surcoat should look impressive and be functional as well – take our deep brown Aragorn Dark Leather Surcoat for example! 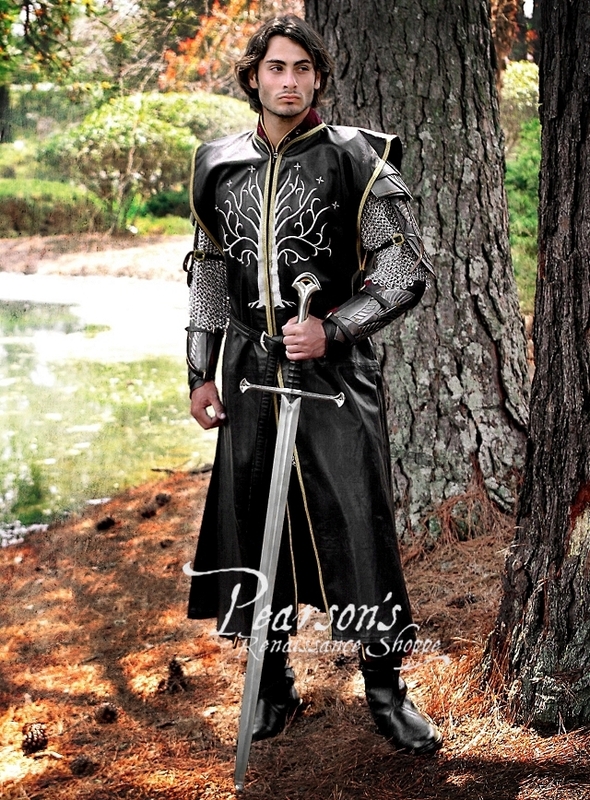 This 3/4-length surcoat of smooth, genuine leather is edged in gold gimp and a tree embroidered in silver spans the entire chest. 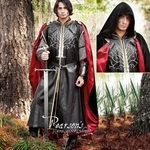 Our Aragorn Dark Leather Surcoat is slit at the sides and at the front and back below the hips, and the armholes are conveniently long so you can wear it over armor or mail. 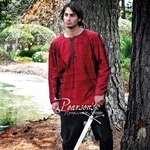 You'll have plenty of freedom of movement in this medieval surcoat, especially when you're wearing it on top of a horse. 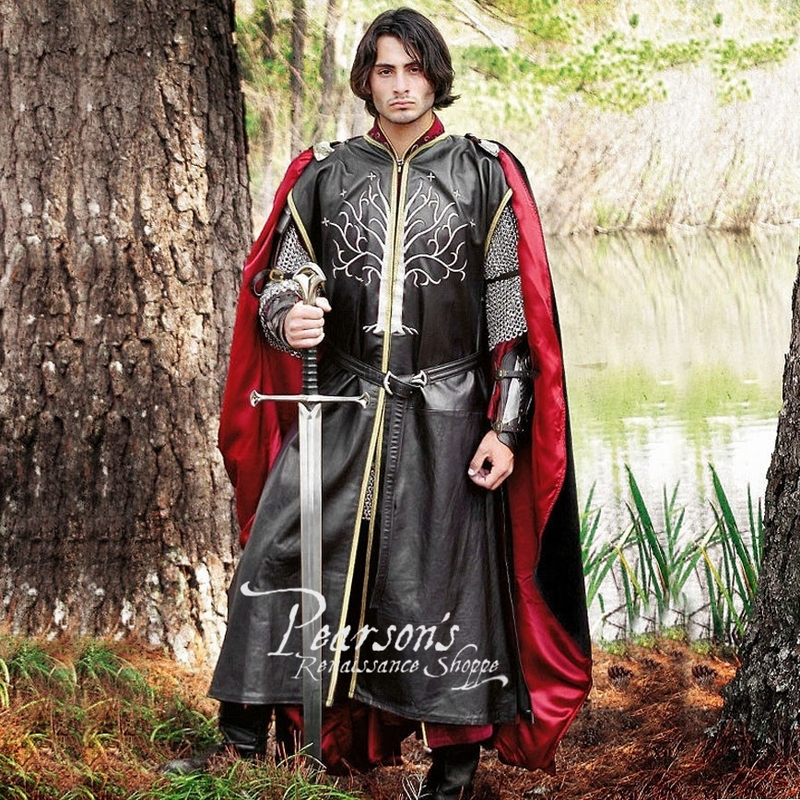 Our Aragorn Dark Leather Surcoat has aesthetic properties, and it is practical as well. A small hook at the throat holds it in position, and a long hook and loop strip from the chest to the waist keep it snugly shut. Metal eyes have been added at the chest for even more wearing comfort. 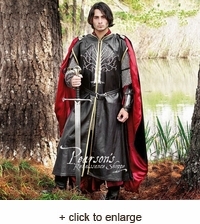 This is the perfect garb for every noble warrior! PLEASE NOTE: Depending on the light, the leather may look dark brown or black.